One morning last summer, I awoke to a terrible pain in my right eye: an unfamiliar tearing, stretching sensation that was more than a little worrisome. That evening, still in pain, I noticed halos around traffic signals and headlights. Concerned, I consulted WebMD to see what might be wrong. To my horror, the lone search result carried a prominent alert that immediate care was needed, as blindness could result within hours. Concern turned to panic, and I raced to the emergency room. A skeptical triage nurse listened to my symptoms and opined that it was nothing serious, meaning it would likely be all night before I could see a doctor. I would have gladly paid to get examined on the spot, but of course that was not an option. Having no desire to sleep in a cramped waiting room, I decided that I would rather receive no treatment in the comfort of my own home. There, I phoned my mother, who is a physician in Ontario. While she couldn’t treat me, she did the next best thing and asked an ophthalmologist colleague if he knew someone in town who could see me. The next day, after an appointment that lasted several hours and involved two specialists and a battery of tests, I was diagnosed with a condition that, while chronic, would not cause serious harm. Around the same time, I started to think about having laser surgery on my eyes. With a stronger than average prescription, I had been totally reliant on corrective lenses for decades. Anyone with a constant need for glasses or contacts knows what a hassle they are and has imagined a life free of them, and I was ready to take the plunge. A few months later, I finally booked my pre-operative consultation and was given the green light. By coincidence, both my follow-up appointment with the ophthalmologist and my surgery itself were scheduled for the same day: January 16. I started my morning by walking up to the hospital and, as I entered the building, it was hard to believe that I was in one of Quebec’s premiere health care facilities. The elevators felt ancient, and the signs were of little help in navigating the labyrinthine wards. When I arrived, the receptionist was away from her desk. I waited behind a couple of other patients, forced by the cramped space to block both the entrance to the office and the door to the examination room. After checking in 20 minutes later, I sat in a creaky chair in a hallway filled with other patients, as there was no actual waiting room. Fortunately, the appointment itself went smoothly and my doctor assured me that my eyes looked good. On my way out, I gave him a gift certificate to a local restaurant as a small token of appreciation for having been so accommodating and helpful. My appointment at the surgery clinic was for early afternoon. A pair of staff greeted me in a large reception room and directed me to the enormous waiting room beyond. As it happened, a mix-up meant I had to wait 40 minutes before seeing anyone. I didn’t really mind, though. The room was bright and furnished with large, comfortable sofas. Jars of chocolate chip cookies beckoned on every table. A tea and coffee machine was free to use, and complimentary Wi-Fi was on offer. Everything about the space was clean, modern and inviting. Once I was called, there remained several hurdles to jump before the surgery: another check of my eyes, two more checks of my prescription, and of course the payment. The clinic offered a range of options and I settled on the most modern and advanced treatment available, which was less invasive and included five years of follow-up appointments. While not cheap, the price seemed more than reasonable and a special offer meant that I could defer, interest-free, until 2014. Besides, my private insurance would pay a small part of the bill, and with any luck, I would never need to buy glasses or contact lenses again. Now the big moment had come. I somehow felt excited, nervous, and solemn all at once. My doctor was one of the clinic’s co-owners, a man with a stellar reputation who had performed tens of thousands of these surgeries. I had questions about the procedure, as my condition heightened the risk of certain complications and I had read that an alternative technique – older and more painful – might be a safer choice. He patiently answered each question with a reassuring confidence that bespoke his vast experience. Most importantly, while some years ago the alternative technique might have been more suitable, the latest equipment made it unnecessary. It is not a small thing to entrust someone with your eyes, but as I lay down on the operating table, his manner left not an ounce of doubt in my mind that I was in good hands. The surgery itself was astonishingly quick and painless. Upon rising from the table, my vision still cloudy, I took my glasses from the nurse, walked down the hall, and ceremoniously placed them in the donation bin where they would go on to provide the gift of sight to someone abroad. That evening, as the world around me slowly came into focus, the emotions coursing through me escaped description. I was experiencing something like a miracle. One day, two eye doctors, two eye clinics. In the morning, a public hospital: run down, aging, understaffed and crowded. In the afternoon, a private clinic: state-of-the-art, spacious, efficient, and just pleasant to be in. To be clear, I have only praise for the doctors and staff at the hospital. They were generous with their time, patient with me and highly professional. I could not have asked for better or timelier treatment. But how quickly could I have seen them absent my mother’s intervention? Ironically, it is the private clinic and not the public hospital that is open to the masses. To get into the former, you need only ask; to get into the latter, you need a referral or connections. On top of it all, the public system consumes ever-greater resources, year after year. Between 1997 and 2009, Quebec’s health budget went from 6.8% of GDP to 8.2%, with total spending more than doubling over the last two decades. 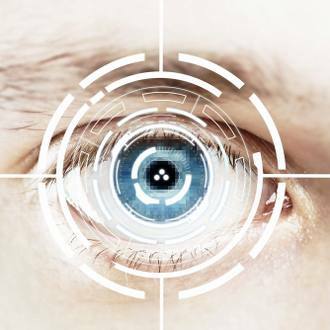 In contrast, between 1998 and 2004 the average price of laser eye surgery went from $2,200 per eye to $1,350 and by 2011, had dipped to about $1,100. At the clinic I visited, prices started as low at $490. Incredibly, these figures are not even adjusted for inflation! The private vs. public healthcare debate won’t get settled by my personal anecdote. But why does the public system feel dilapidated and the private clinic like such a marvel? Why can I get my eyes redone by one of the top surgeons in Canada by calling a reception desk, but I can’t see even a mediocre ophthalmologist about a potential emergency without getting a referral, spending the night in the ER, or having a connection? Why do I feel so grateful to a public-system doctor for agreeing to examine me, as if he were granting a favour and not providing a service? Any why does the thought of paying for a doctor offend some people so very much when it is the most normal thing in the world to pay for food, shelter, medication, higher education, and so forth? I won’t claim that every public healthcare facility is failing, any more than I’ll argue that every private clinic is a success. Naturally, quality varies in both systems. But everything about the public hospital, from its budget to its equipment to its administration, is determined in the legislature, at the cabinet table, and in government offices. What the actual patients think affects literally nothing; they have no power or influence except to lobby the machinery of the state and hope for the best. Conversely, a truly private clinic has no way of getting funds except by convincing someone to part with them. They can only try to persuade us to give them our money in exchange for something we want in return. In one system, those in charge know that patients are a captive market, with no alternative to their services. In the other, they know that their continued employment depends on whether they can please their clients. Personally, I know which group of people I would rather entrust with my health. ▪ Making Government Work Like the Private Sector: Can We Square the Circle?